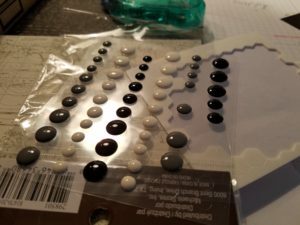 My first official blog post on my own website! I’m so pumped. I hope I don’t mess it up. 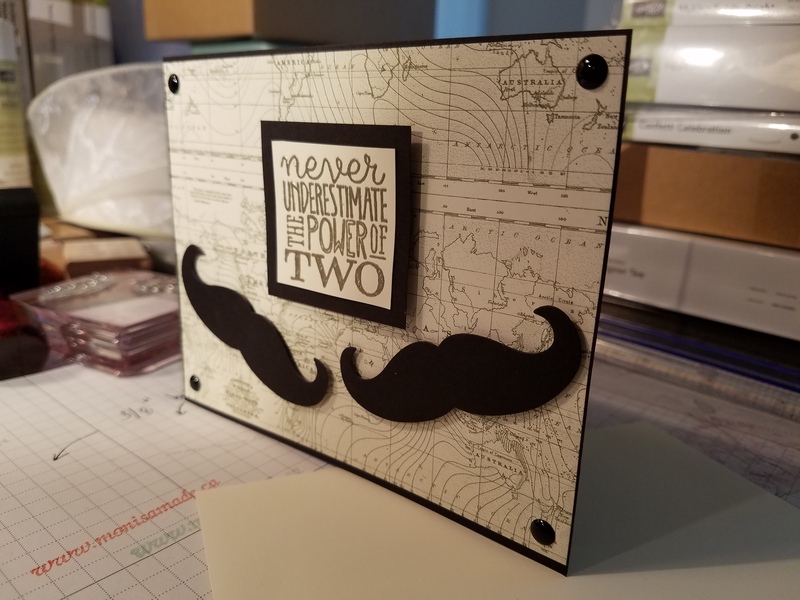 A couple of weekends ago, a good friend asked me to make her a card for “two of my guy friends getting married on July 1”. Well, of course I made time in my packed schedule to do this. I’ve never actually been to a gay wedding but, in my humble opinion, gay marriage is the best of all things relationship-ey. It is still not easy for people to come out and hetero-dating is filled with land mines and maintaining relationships is frigging impossible. If gay people want to get married and parent and get old together, they have my complete, unconditional support. I think this is called being an ally. So, I asked my friend for more info about the couple and she sent me some photos. I discovered they are both successful professionals, super stylish and handsome, and clearly very into each other. The creative juices started flowing despite my near exhaustion. I was so excited to have a reason to make a custom card. It’s different than making cards in class. I don’t know why. Does anyone know why? I wanted to do something with a pair of masculine items, neutral/monochromatic and not cliche. I started out with Basic Black, Very Vanilla and one of my favourite dies, “mustache framelits”. I wanted to use the retired Going Places DSP because it’s sophisticated and clean. I also really like the Happy Wedding sentiment in Celebrate Today. I am pretty sure this Stampin Up set is current but you can check with my Stampin Up demonstrator here. I love embossing. I would emboss all things if possible. I really love the pewter embossing powder. 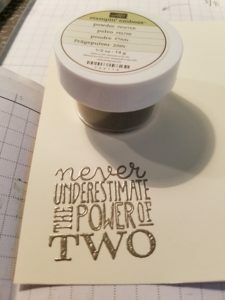 It is sometimes hard to emboss a stamp like this and get the lines to look really clean so it’s very important to use your embossing buddy before you begin and get good coverage with the versamark ink and powder. I like to tap tap TAP hard on the back of the card to remove all the excess and then use a very fine tipped paint brush with super stiff bristles to remove stray granules of the powder. Then let your heat tool really heat up before you direct it at the paper. 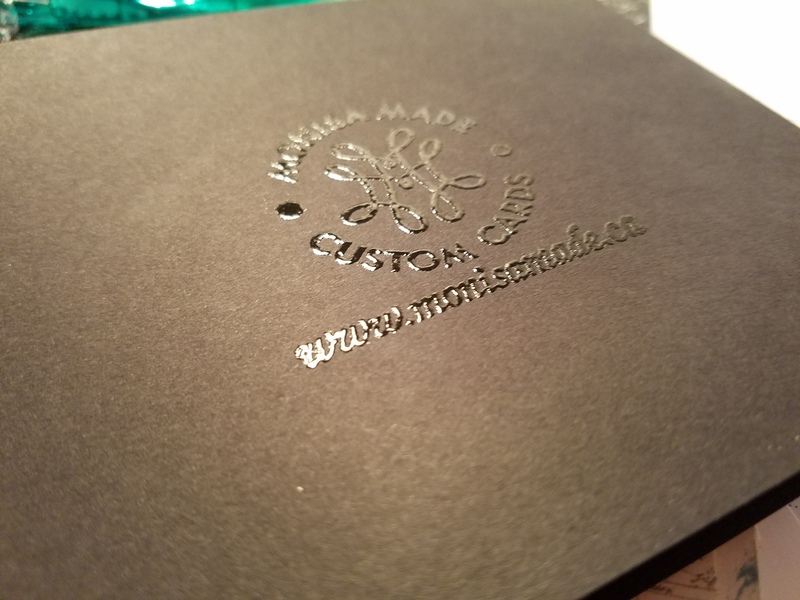 One of my signature moves is to emboss my logo and website on the back of black card. It’s barely there. Embellishments are important to give a bit more texture and depth. I want people to touch my cards and spend more than two seconds scanning them before putting them aside. 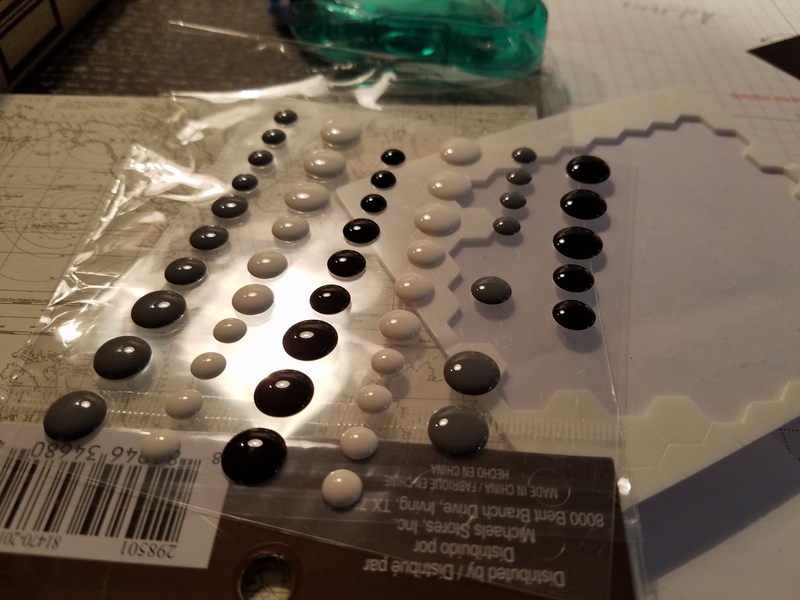 These enamel embellishments are Recollections brand from Michael’s. 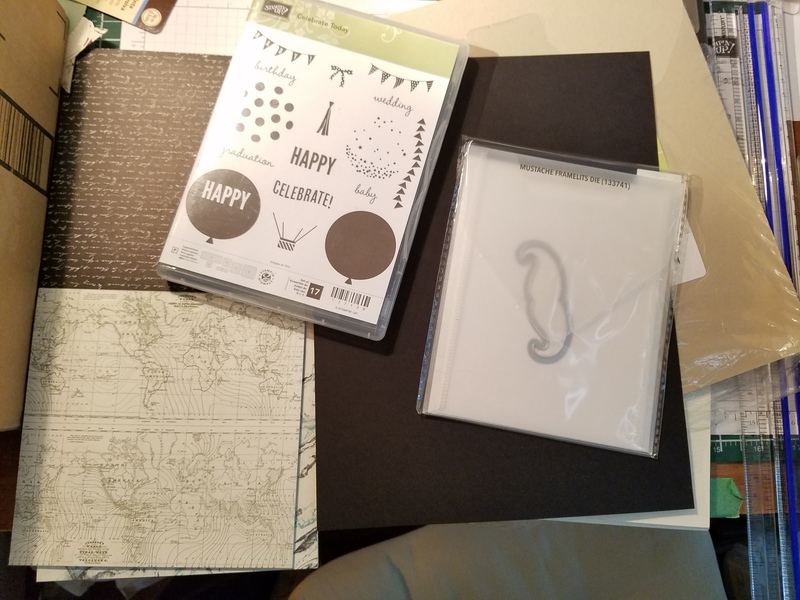 It is also important to me that the envelope looks like it coordinates with the card, rather than just something that was grabbed off the shelf at the last minute. It’s like small hint of the card inside. 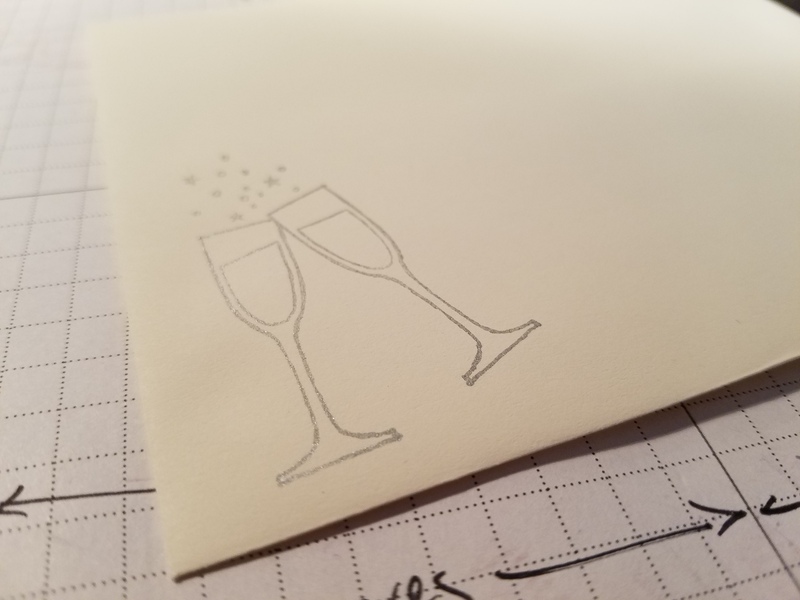 I stamped this Very Vanilla envelope with the champagne glasses from Stampin Up’s Making Spirits Bright in silver ink. 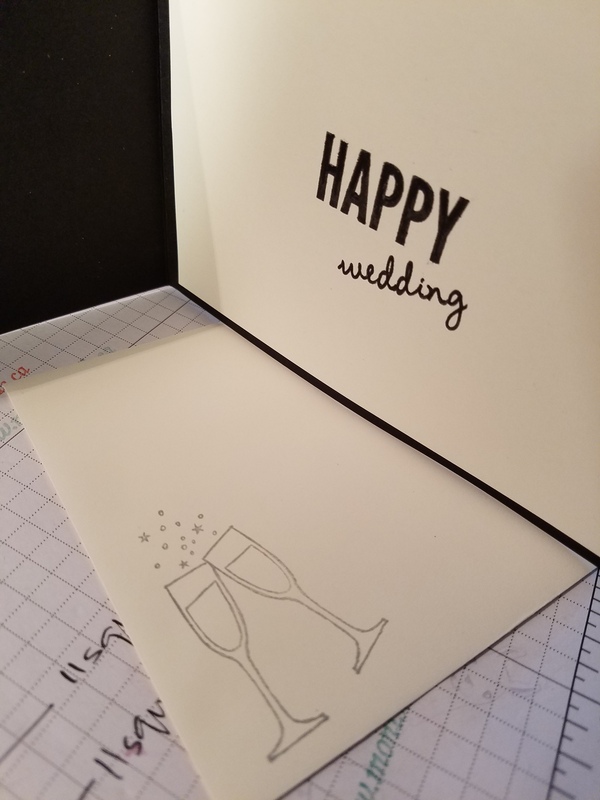 I embossed “Happy wedding” on the inside with black embossing powder to pull the whole thing together. Finally, cutting and assembling et voila! 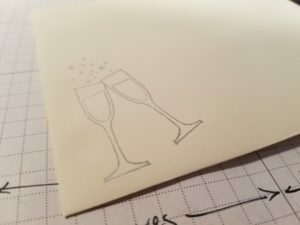 A simple, elegant and slightly whimsical wedding card for two handsome and accomplished dudes.